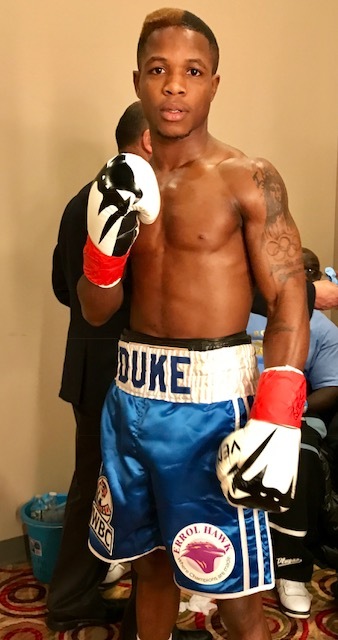 Duke Micah is looking forward to his next contest against highly rated Frenchman Yoan Boyeaux at Brooklyn’s Kings Theatre. Micah clashes with Boyeaux on the Real Deal Sports and Entertainment show on April 21 and is currently deep into his training camp for his French counterpart. Micah, now training out of the Bronx, New York, opened up about how preparations were going ahead of his April 21 clash. He said, “Training is going well and I am really enjoying working with my coach Carl Lokko in New York. Micah is currently undefeated, having won the WBO African, Commonwealth and WBC International Bantamweight titles within 21 professional contests. The native of Ghana will look to push towards a World title fight in 2018. The Baby Faced Terminator elaborated on his plans for the year. Micah continued, “I am excited to show the fight fans in Brooklyn my skills and show the world that I am ready to box for a World title in the very near future. “I would love to fight for the World title here in New York as I believe New York is the best place to box in the world. I will fight any of the World Champions and I believe I can beat them all.